Aerosmith frontman Steven Tyler has said the band will stage their farewell tour in 2017. Tyler’s country album We’re All Somebody From Somewhere is released on July 15. 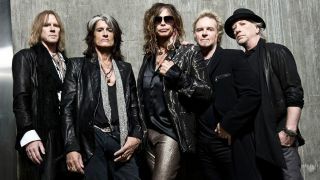 Aerosmith tour South America starting in September, following an appearance at the Kaaboo Festival in California on the weekend of September 16-18.